I use to pride myself on being able to be continuously working from the moment my feet hit the ground in the morning until my head hit the pillow at night. But lately thing have been crazy. This time of year is jam packed with church events, fun holidays, end of the school year activities, and in our house so many birthdays! I finally hit a wall and I realized it that I needed to carve in some "me-time" during the day. Even if it's just 10 minutes! I need that time to decompress, not think about work, schedules, or to-do-lists. It took me awhile to figure out when I could get some time and what to do. In our house we are with our kids 24/7. They spend the morning with Poppa and the afternoons with me at my office. By the time I get home from work we all need a little quiet time. So that's what we do. We have about 30 minutes before Poppa gets home and we need to be on the go again. It's not a whole lot of time so things like a hot bath, or even a nap are out of the question. Between 5:00 pm and 5:30 pm you can find Louie in the playroom, Phi on her bed reading and me in my bed reading. The house is quite and we all get the much needed time to decompress, recharge and get us to the end of the day. That's right! Our giveaway from last week continues!! 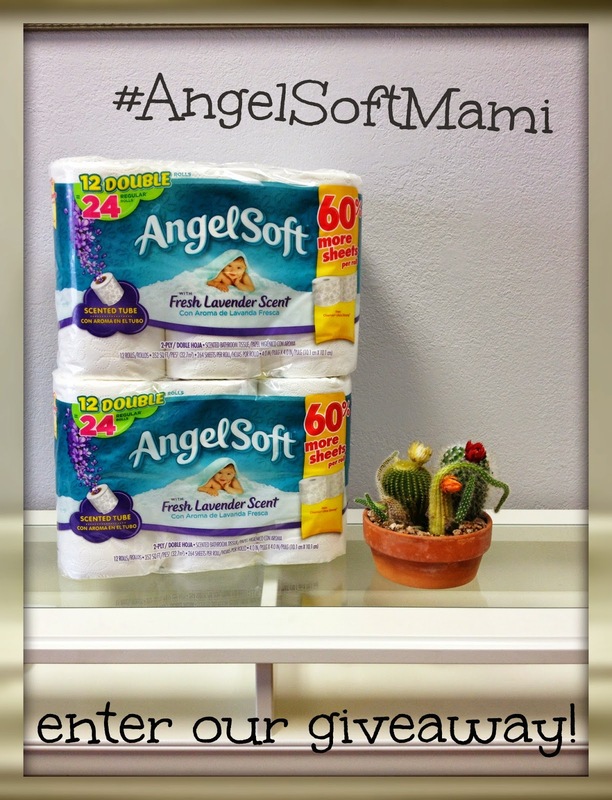 Enter to win a 3 months supply of Angel Soft® with Fresh Lavender Scent! Here are 2 new ways to enter! Head over to this post (CLICK HERE!) for all the details. Winner will be picked at random and notified this Friday (May 16th). Enter as many time as you like and GOOD LUCK!